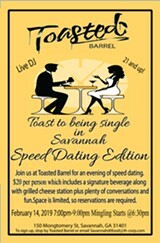 Event: Toast to being Single in Savannah, Speed Dating. When: February 14, 2019 Mingling starts at 6:30. Speed dating starts at 7. 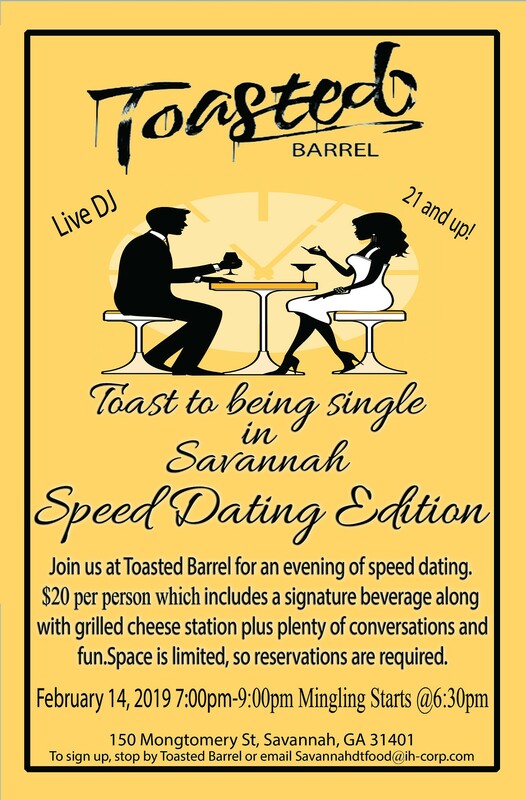 Details: Join us at Toasted Barrel for an evening of speed dating. The cost to participate is $20. Included in price, a signature beverage along with grilled cheese station plus plenty of conversations and fun. Space is limited, so reservations required. To sign up, stop by Toasted Barrel or email Savannahdtfood@ih-corp.com.